When I was in my twenties I thought didn’t want children and I felt quite happy thank you very much pursuing a career as a Technical Author for an international software house. I never wanted to be a teacher. Ever. So how come I am sitting here now, writing about my role as a MummyNatal teacher, a role I work around my two children? Having children was the start of my journey to MummyNatal. I decided that I wanted/needed to do something more fulfilling, more flexible, and more integral with my family life. After much thought, lots of research, and many sleepless nights, I resigned from my job and started training to be an antenatal teacher. It was a big life-changing decision, but more than five years down the line I can honestly say that it was one of the best decisions I have made. I worked as an active birth teacher for three years before joining The Natal Family, and I have now trained in, and teach, all they have to offer. 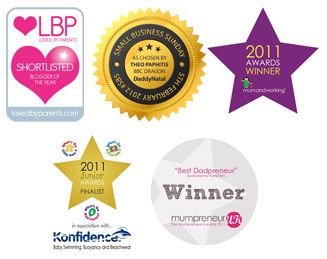 MummyNatal is an antenatal program with a difference. Pregnancy and birth is such an individual journey, and I have seen, from the hundreds of people I have supported, that the birth experience is so much more likely to be a positive one if mum feels relaxed, confident and safe, and if she has a supportive birth partner. When facilitating any antenatal class, the teacher needs to be able to convey non-biased, non-judgemental education, together with an understanding of just how personal bias can affect the choices parents-to-be make. We need to accept that every person should be able to make their own choices about how they want to give birth, where they want to give birth and who their birth partner or partners will be. I’ve found that many mums-to-be, especially first time mums, don’t always know what choices they have, and don’t even realise that they even have choices. MummyNatal classes are all about promoting informed choice. We also don’t teach the ‘right’ or ‘wrong’ way to give birth, as there is no right or wrong way! We encourage mums-to-be to trust in themselves, in their bodies, in their babies, and listen to what feels right for them. What I find refreshing about MummyNatal is that the classes can benefit any kind of birth journey, whether mum-to-be is having an elective caesarean, a home birth, a hospital birth, an active birth, a water birth. It doesn’t matter, as we don’t teach that specific techniques should be used at specific times, or that one birth journey is any better than another. Every birth is a miracle, and every woman is amazing, and that should come across in every one of our classes. When teaching these classes I can really see how practical and individualized the course is for parents who attend. In a recent class I taught, we practised a standing meditation and afterwards the mums-to-be were saying how great it was to realise that one can find a relaxed and focussed state whether moving, lying down, standing or walking. Of course in labour we need to be able to find coping mechanisms and ways to focus and relax whatever our preferred position or movement is on the day, and MummyNatal helps mums to practice that and develop confidence that they will be able to do this on the day too. In another class, we were talking about intense sensation and how we can use different techniques to cope with intense feelings such as contractions. The intense sensation practise we use in class at first brought a certain degree of scepticism – how can this help prepare us for the sensations of labour? After the exercise though, I could see that it had been a hit as the ladies discussed with each other which techniques they had used to cope with the intense sensation, and could see that it actually does make a difference! One mum said: “It just shows how different we all are and how important it is to get to know our own bodies.” Yes! Being a MummyNatal teacher is extremely rewarding, and I find that what I do now is so much more fulfilling than my previous career. I feel honoured to have been part of so many parents’ journeys and watching mums-to-be grow in confidence week by week. It’s also lovely to meet their birth partners in our Natal Birth workshops, and help both mum and birth partner work together to achieve the birth they want. I love receiving cards, emails and texts from new parents, letting me know how their birth went, and how the classes helped them, and how proud they are of themselves. A parents’ experience of birth can affect not only their feelings towards subsequent births and how they talk about birth to others, but also their confidence in themselves. Birth experience can make such a difference to so many aspects of a person’s life. Amanda is our MummyNatal and BabyNatal teacher for Otley, Ilkley and North Leeds. This entry was posted in Uncategorized and tagged antenatal classes, antenatal teacher training, birth, FEDANT, meditation, mindful birth, mindful birthing, mummynatal, positive birth, teacher training, yoga by Steph. Bookmark the permalink.